I am currently visiting Western Australia where I acquired this wonderful vintage (?) horse hair brush. I think it was unused, but I gave it a clean and it looks great. It is stamped "Democrat" and under that "Set in Rubber". It has an interesting flat top, probably as a result of the flatness at the bottom of the lofthole (did I just invent a new word?) The twine, as I understand it, was to provide grip (and yes, it does). The top of the handle has a nicely rounded ridge. The closer I look, the more I appreciate how it was made. Simple but efficient and beautiful. 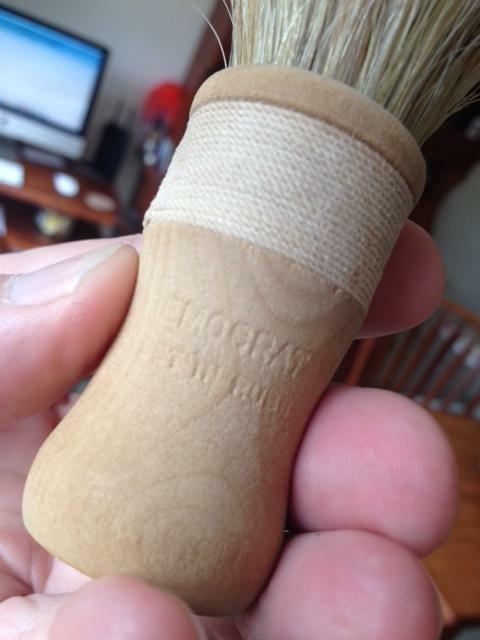 This brush has a wonderful ergonomics. The bristles are long enough to provide a decent lathering without being too outrageously scrubby. The bristles are very coarse and thick indeed; not sure if they are sourced from mane or tail. I paid the equivalent of $5 US. I think it's a beautiful object. What do you think? I really like it, it cleans up incredibly well. Love that style of handle as it really (to me at least) makes it look old with the twine wrapping. The handle looks like wood, a really amazing vintage piece. So it sounds like your going to use it, if so let us know how it goes. Lovely brush, Shaun! You always seem to find such unique brushes! (11-06-2014, 08:13 AM)refles Wrote: I really like it, it cleans up incredibly well. Love that style of handle as it really (to me at least) makes it look old with the twine wrapping. The handle looks like wood, a really amazing vintage piece. Oh yes it's genuinely vintage, and the handle is indeed wood. I just can't find a date. I have been researching. I have seen a couple of very old and cracked, similar brushes from the 1930s. but this one seems to have survived well up into the present. Not sure if I will use it. I might. It just looks so beautiful as an object; a little sculpture. If it is that old the wood is probably pretty dry as should be the twine. Not sure I would use it in fear of expansion and cracking. 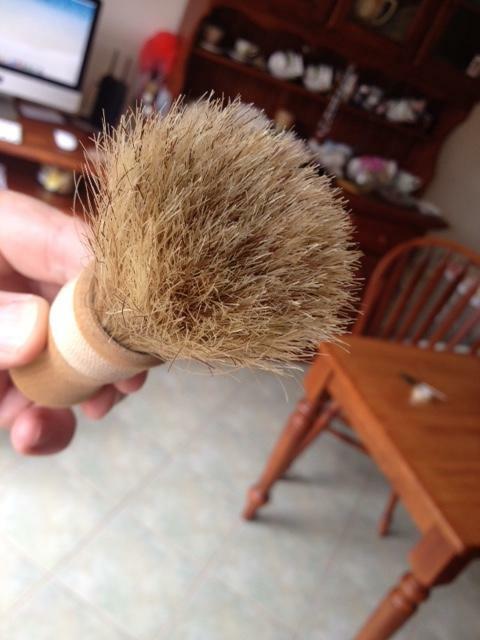 It is a really neat looking little brush and if it were mine I would just have it part of my shaving display. (11-07-2014, 03:23 AM)Johnny Wrote: If it is that old the wood is probably pretty dry as should be the twine. Not sure I would use it in fear of expansion and cracking. 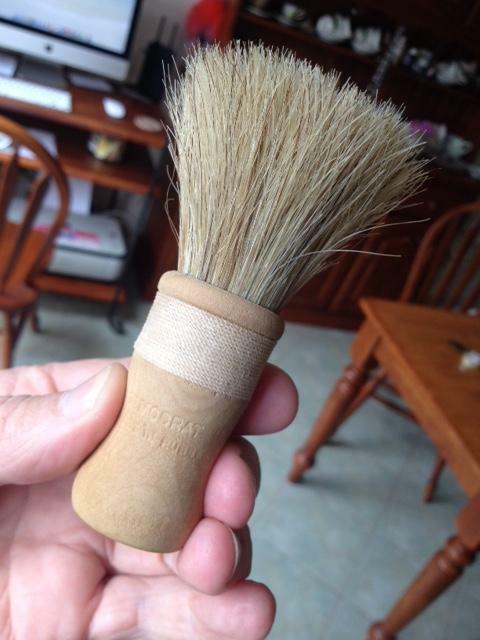 It is a really neat looking little brush and if it were mine I would just have it part of my shaving display.